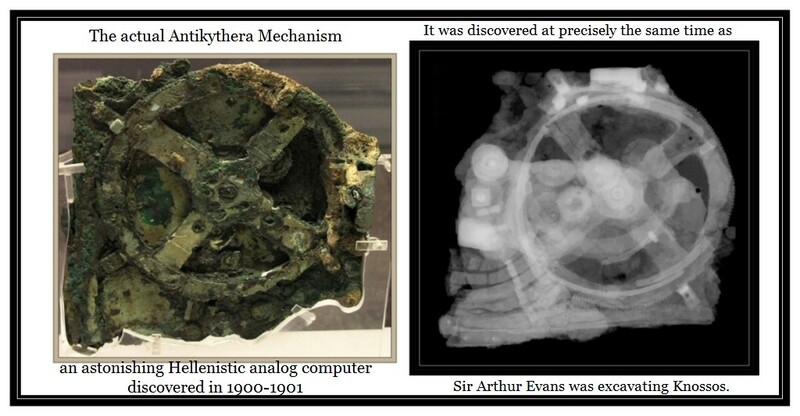 The Amazing Antikythera Mechanism: the First Analog Computer in History? The mechanism was housed in a wooden box approximately 340 × 180 × 90 mm in size and comprised 30 (!) bronze gears(although more could have been lost). The largest gear, clearly visible in fragment A, is approximately 140 mm in diameter and has 223 teeth. from which I draw this résumé. The Antikythera Mechanism is a Hellenistic astronomical machine with bronze gearing system, made about the second century B.C, preserved in fragments only. In 2005, new data considerably enhanced our knowledge of its functions, being as it is an instrument measuring geocentric cosmology, portraying the stars, Sun, Moon, and all five planets known in antiquity. Résumé: The Antikythera mechanism is a unique & highly sophisticated mechanical analog calculator from the second-century BCE. Advanced imaging tools have enabled researchers to reconstruct how the device predicted with such astonishing accuracy lunar and solar eclipses and the motion of the moon in the sky. To read about the much earlier Minoan Disc (so-called Analog Computer) see the previous post. It is almost as mind-blowing!